Put down that tambourine and let your hats do the talking. 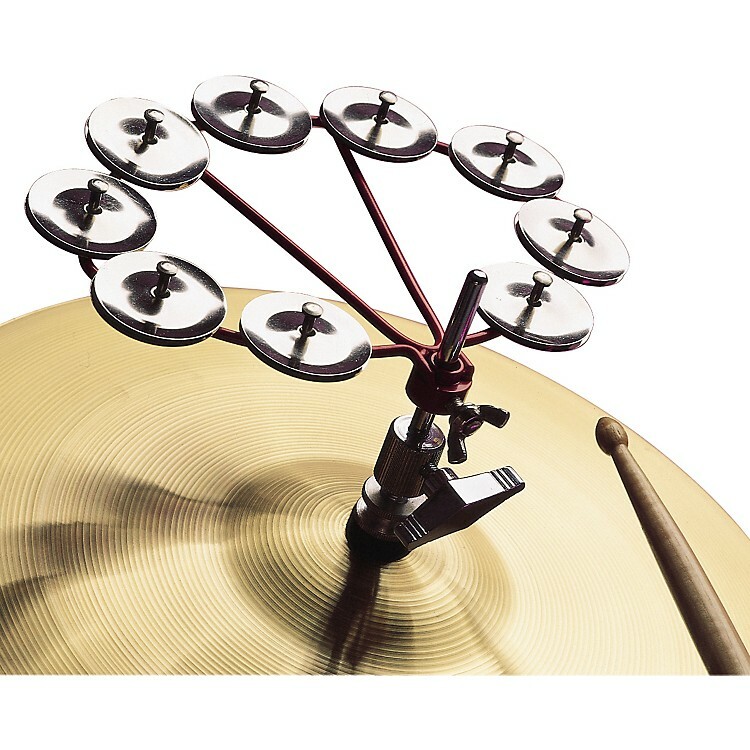 This Cyclops Jingle Ring mounts on your hi-hat and allows you to create jingle accents and patterns handsfree, using only your hi-hat pedal. These seven-ounce jingles won't affect your pedal's response and are held securely in place with a simple wing-screw tightener.